Another nice “Control” offering from Track. Remember that coverstock accounts for 70% of ball reaction, but the core will create the dynamic shape. 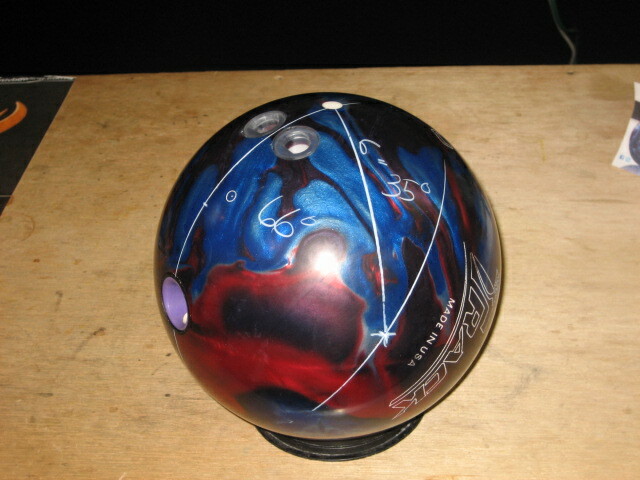 Your drilling will alter the shape to suit your game and conditions you bowl on. 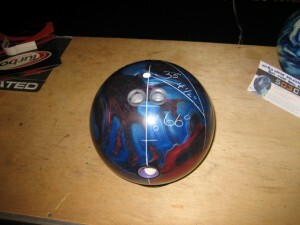 Kyle Hartzell of BowlerX is our tweener tester. Eric Filipovits is our high rev tester. Let me briefly describe the layout and what it’s intention is. Kyle’s layout is 66 x 4 1/2 x 33. Eric’s layout is 75 x 6 x 35. Generally speaking, both will delay the roll and have a quick transition at the breakpoont. Funny, no one fell in love with the ball motion initially, but absolutely loved the results. Our testers didn’t instantly recognize the ball reaction as one they would like, but were absolutely amazed to see how easy it was to strike. Like the shot off their hand or not, they struck more times than not. 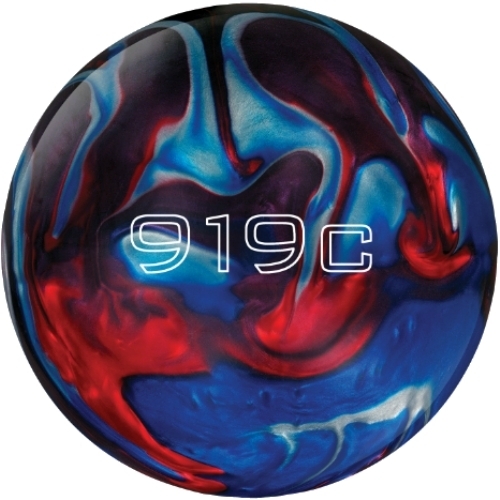 I guess that’s a fantastic trait to have for a bowling ball, no? It’s a high end ball but so of course expect to pay for it. The 919C uses the Edge core with an RG of 2.53 and differential of .049 and intermediate differential of .019. It is medium RG with medium differential. It has a relatively high intermediate differential. 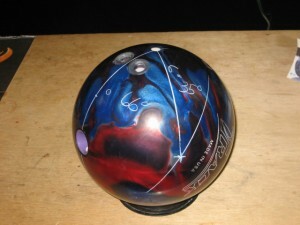 In the end, the core is conducive to the continuous control motion ball reaction Track was looking for. The HAZE HP9C is finished at 500, 1000, 2000, 3000 grit abralon. I find if a little strange that Track came out with this HAZE produce as dull covers don’t look the best sitting on the shelf at your local pro shop. Be that as it may, it shines itself up right away so the ugly dull finish subsides quickly enough. According to track it doesn’t affect performance. Regarding the performance, the cover seems to match up very well on the medium THS. 3000 abralon seems to be the newest thing now. Anyway, the finish of this coverstock along with the core create a very controlled ball reaction is very continuous, but still stores enough energy to return from no-man’s land and carry. It has a very controlled look on the lanes and not that skid/flip reaction people like to see, but tt serves it’s purpose. This ball has control motion, to be sure. I know that Track has been telling us “C” now stands for continuous, but ultimately, they go hand in hand in this case. It doesn’t create tons of friction in the heads, but the core is making its move and is smooth and continuous. It definitely shows in the overall ball reaction. Carry was absolutely phenomenal. Even though the testers were not extremely fond of the shape of the reaction, they sure appreciated the strikes! The ball seems to match up with whoever is throwing it. It is smooth and continuous. It stores just enough energy to carry from missed shots and really drives through the pocket when you throw a good one. Ultimately, carry was fantastic and that’s something no one can complain about. Matches up to medium conditions just right for most bowlers.